Reggae artiste Lutan Fyah is proud of the continuous growth of his powerful brand of reggae music in the international marketplace, as he as amassed an impressive 9 million streams on the international music service Spotify. “Streaming and trending was huge for the Lutan Fyah in 2018, I have gained with hard work and strong perseverance 9 million streams on Spotify in over 65 countries. Spotify notified me every day on my numbers, so people out there are listening to good reggae music, and the brand is still strong,” he said. Lutan Fyah has recorded on impressive 17 albums so far. In 2018, he had a hectic summer touring scheduled shows, where he did gigs in Europe and Africa. Earlier this week, he performed on the annual ‘Catch a Fire’ show at the Bob Marley Museum, backed by the Kaitlin band. “It was a nice vibe, the show mad. People love it, I went up there after Koffee. It was a joy performing for people, it had been eight years since I last perform in Kingston Jamaica,” said the Burning Fire singer. He performed in Malawi on December 15, then he wowed audiences at the Mowabisi Beach reggae legends Sunsplash show between December 23-25, then rocked thousands of patrons at the Senejam Connection in Dakar, Senegal. He underlined his powerful presence in Africa as one of the headliners at the show dubbed ‘Afro Diaspora’ alongside Norris Man and Fantan Mojah In Baka, Gambia, onJanuary 5. “Reggae music is part of my DNA,I can feel it in whatever guise it is played. 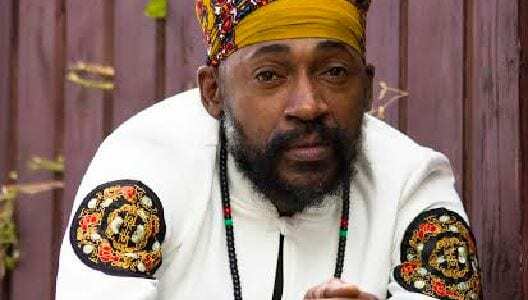 Deeper than that, reggae music is a lifetime music, it will be here for the next millennium, long after we have gone, plus the business of reggae gives a lot of poor ghetto youths the opportunity to be important in life, and that’s the part that means the most to me,” said Lutan Fyah.